If Christmas is for kids, then Santa Claus must hold down a blue-collar job at the airplane factory. 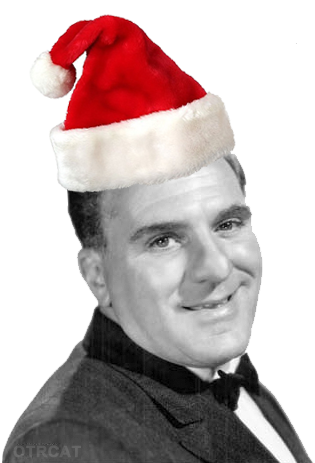 At least that's what Santa, in the form of Chester A. Riley played by William Bendix on the Life Of Riley. Riley may not have been the first sitcom father and husband, but he helped to set up the archetype of the character that would last into the television rolls. Beloved roles like Ralph Kramden of The Honeymooners, Fred Flintstone, blustering Archie Bunker from All in the Family, Roseann's Dan Conner, the King of Queens, and early Fox TV icons Homer Simpson and Al Bundy can trace their roots to Life Of Riley. Married with Children may have been the most direct, if backhanded, tribute to the earlier show; Al Bundy used many of the speech patterns and mannerisms of Riley as developed by Bendix, and the wife on both programs carry the name Peg. Christmas is a time when a man wants to do their best for their family, and Riley is no exception. He tries to teach them the importance of will power when a mysterious present arrives from Walla Walla, and swears he won't open it until Christmas. He comes up with the idea of the family pooling their Christmas money for one big family gift instead of a bunch of unsatisfactory small ones, but why does the family want a piano instead of a new Television like he wants? 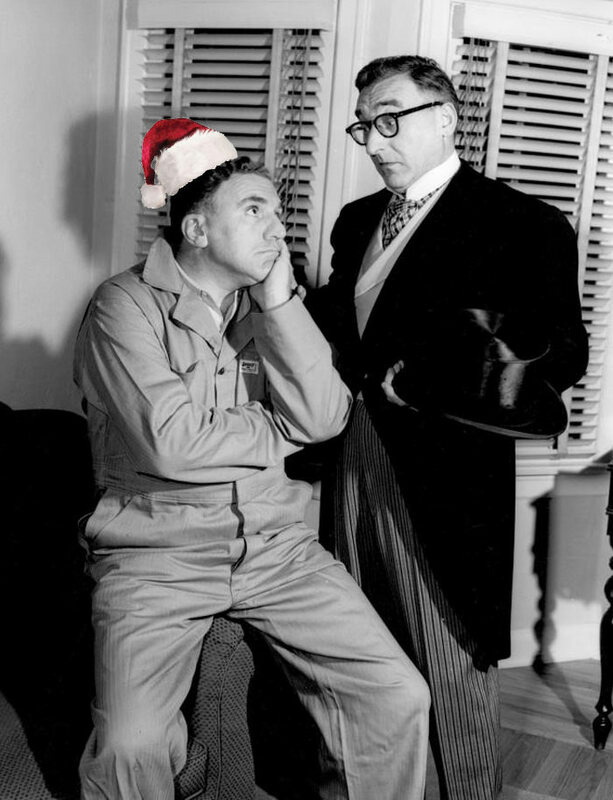 And when the boys at the plant find out that the boss has cut out the Christmas bonuses this year, Riley even does his best to make things right. Like the later blue-collar heroes, Riley isn't always right, and he isn't always successful. But through all his trials, his heart stays in the right place. And at Christmas, isn't having your heart in the right place the best gift of all? Be the first to comment on "Life of Riley Christmas"